Queen Victoria died at Osborne House on the Isle of Wight at the age of 81. She was the longest reigning British monarch and the figurehead of a vast empire. Most of her nine children had married into the other royal families of Europe, earning her the nickname 'the grandmother of Europe'. She reigned over a time of great industrial expansion and economic progress in Britain and growth in the British Empire. At her death, it was said, Britain had a worldwide empire on which the sun never set. 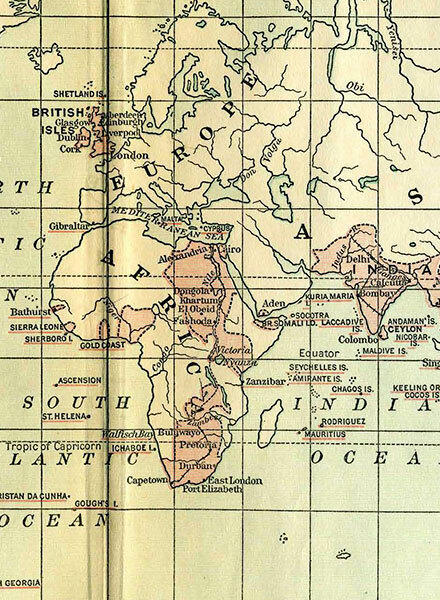 Her empire included Canada, Australia, New Zealand, and large parts of Africa. In 1877 Victoria became empress of India, the 'jewel in the crown' of her territories. During Victoria's long reign, direct political power moved away from the sovereign. A series of acts broadened the social and economic base of the electorate. It was during Victoria's reign that the modern idea of the constitutional monarch, whose role was to remain above politics, began to evolve. She was succeeded by Edward VII. 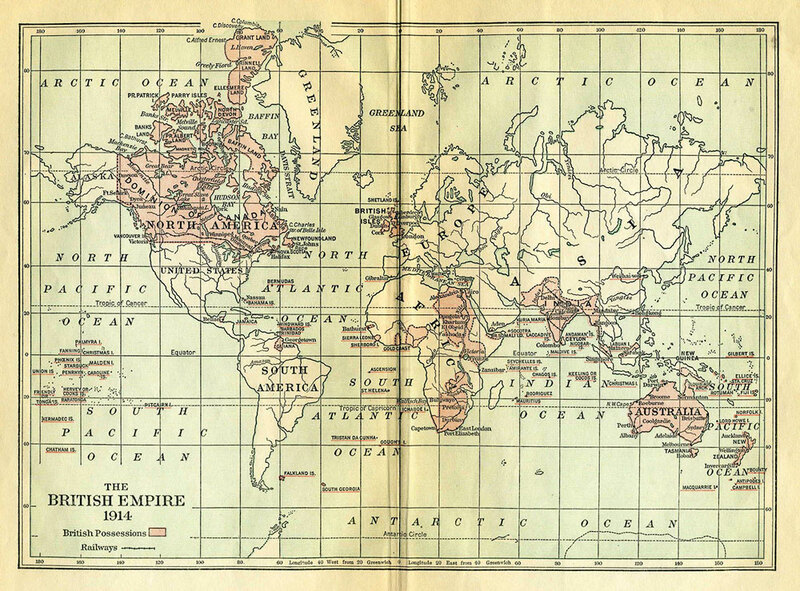 Map of the British Empire at the outbreak of WWI.